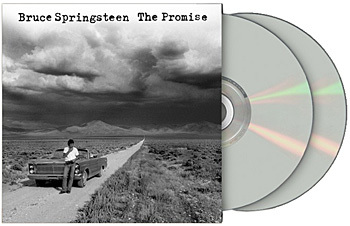 "Darkness was my 'samurai' record," Springsteen writes, "stripped to the frame and ready to rumble. But the music that got left behind was substantial." Apparently so: even after the wealth of material on Tracks, a whole lot more has been waiting in the vault. The Promise presents 21 previously unreleased tracks from the Darkness recording sessions, songs that, as Springsteen writes, "perhaps could have/should have been released after Born To Run and before the collection of songs that Darkness on the Edge of Town became." This is the compact disc edition, on two CDs. The package also includes lyrics to all songs, Springsteen's essay about the material, and previously unseen photographs from the Darkness sessions.